Mark DuBois’ busy career on opera and concert stages has taken him across Canada, the U.S.A., Italy, France, Belgium, Hungary, Austria, the United Kingdom, New Zealand, Bermuda, Slovakia and Czech Republic. His appearances at numerous music festivals have included such prestigious names as Ravinia, Tanglewood, New England Bach Festival, Hollywood Bowl, London’s Wigmore Hall, Cannes Midem Classique, Budapest Spring Festival and Festival International de Lanaudiere. Career highlights include performing for the late Pope John Paul II, Her Majesty Queen Elizabeth II, President Ronald Reagan and Prime Minister Brian Mulroney. He performed at the farewell concert honouring the great Canadian soprano Lois Marshall and was guest soloist at the Right Honourable D. Roland Michener’s (Governor General of Canada) State Funeral. Recently, Mark was interviewed by CBC television for Queen Elizabeth II’s Jubilee Gala at Roy Thomson Hall, which was broadcast live from the stage via CBC television and radio networks. He is heard regularly on national radio network broadcasts in a wide variety of performances and has appeared in several television specials including THE LIFE OF EMMERICH KALMAN, the Bach MAGNIFICAT, as the Chevalier in DIALOGUES DES CARMELITES, Handel’s MESSIAH conducted by Trevor Pinnock and in the lead role of Shanty in the Canadian premiere of Paul McCartney’s LIVERPOOL ORATORIO under the baton of Carl Davis, the co-composer of the work. Mark DuBois is featured on several commercial recordings, the most recent of which include a solo recording “CHANSONS D’AMORE” (nominated for a Juno) with pianist Gloria Saarinen, as guest soloist with the Vienna Choir Boys “500TH ANNIVERSARY – VIENNA CHOIR BOYS from Koch Classics and his newest solo CD “THE MUSIC WITHIN VOL. 1” a compilation of favourites from operetta, broadway and song. 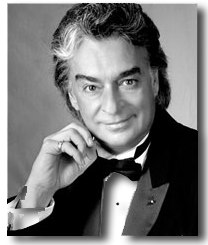 Visit Mark’s web site at: www.markdubois-tenor.com.